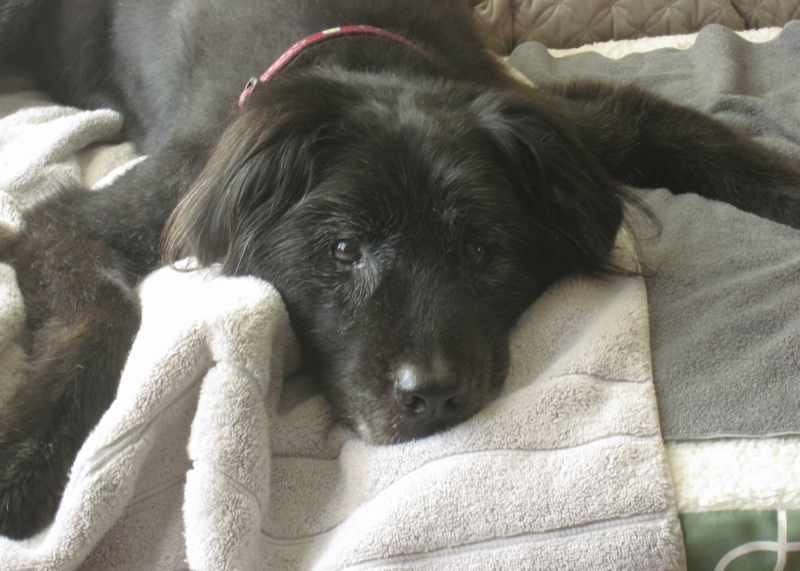 Hi – my name is Loki; I’m a flat coat retriever mix rescue and believe it or not I’m going to be 17 in May! In my youth I always enjoyed my long walks where I was a pro at chasing squirrels into trees and my tail would always wag incessantly. I’m a generally happy go lucky dog but I couldn’t be trusted in convertibles and I despised the UPS guy. As I’ve matured my walks are naturally shorter and I have to use my tail for balance but people always smile as they drive by and the neighbors always give me a fuss. I have also mastered the fine art of selective hearing (my people still think “Loki no!” and “Loki wait!” are effective…) and I excel in the “you can’t walk by without petting” face. Life is good, I enjoy watching the world go by from my window and having my muzzle in the wind. Thanks to the entire Calusa team for the care and love – keep calm and WAG ON! Congratulations to “LOKI” and The Kietzmann Family for being voted Calusa’s March 2018 Pet of the Month!